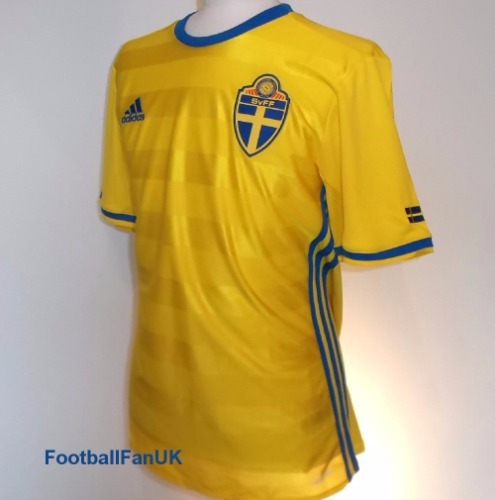 This is the official Sweden men's home shirt from Adidas, for the 2016/17 season. New with tags. - Sverige printed at back of neck. - Woven Swedish flag on cuff. - Adidas product code AI4748.